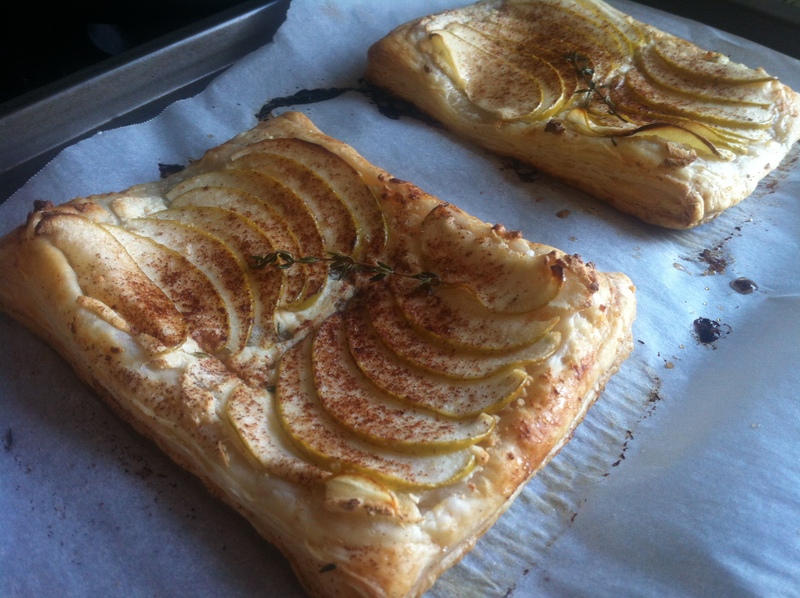 “‘We make a goat cheese and apple tart at the bakery,’ he says. ‘Bet that’s expensive,’ I say. this is an extremely simple yet elegant dessert. it could also be served as an appetizer, especially if you cut down the amount of sugar and cinnamon. stick the frozen puff pastry in the refrigerator ahead of time to thaw. this step is not entirely necessary, i’ve made these tarts from frozen puff pastry, but it’s easier to work with the pastry if its thawed. 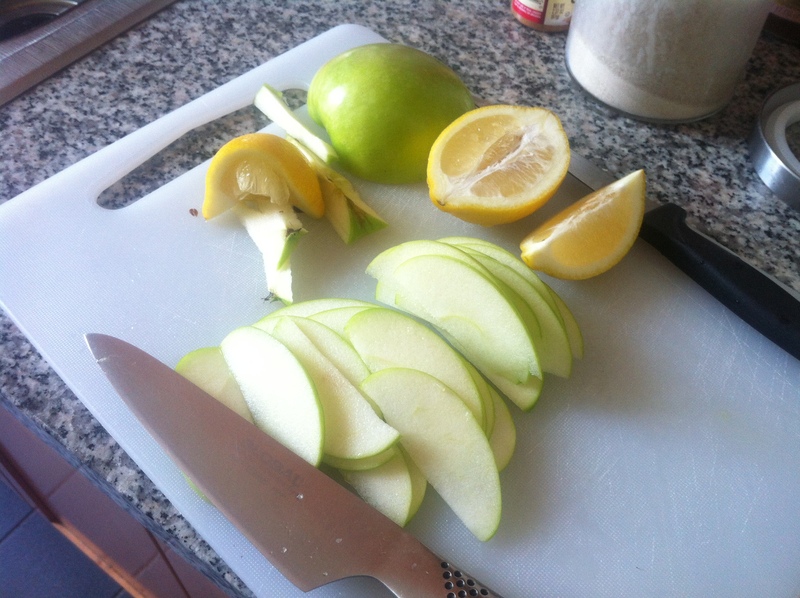 thinly slice a granny smith apple. a mandolin would be useful here. if you’re like me and don’t have one, just slice thinly with a sharp knife, good eye and curled fingertips. squirt some lemon juice on top of the slices to prevent browning. unfold your puff pastry and you can roll it out if you’d like. i don’t have much counter space so the puff pastry stayed as it came. i pinched the sides, trying to make a little crust for the tarts but it was kind of useless since the pastry baked out and undid my pinching. 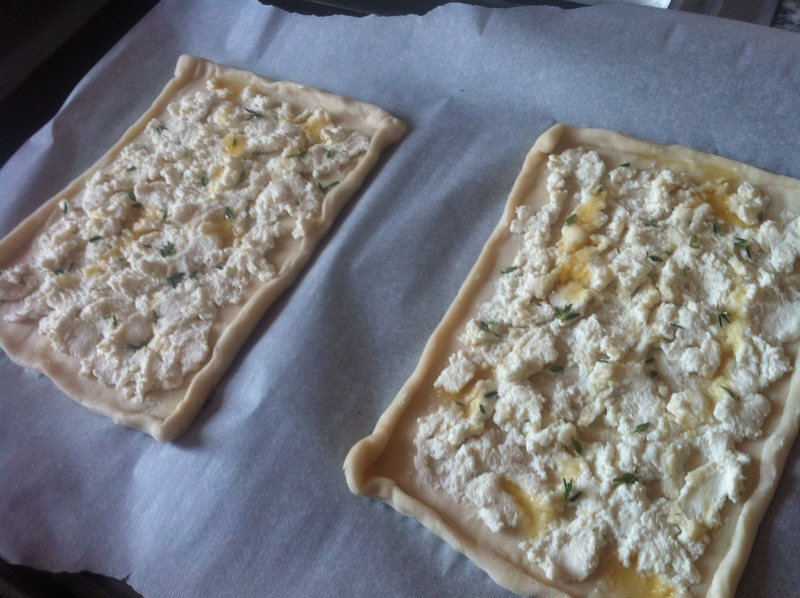 spread goat cheese onto the pastry, sprinkle some fresh thyme, and lightly drizzle with honey. 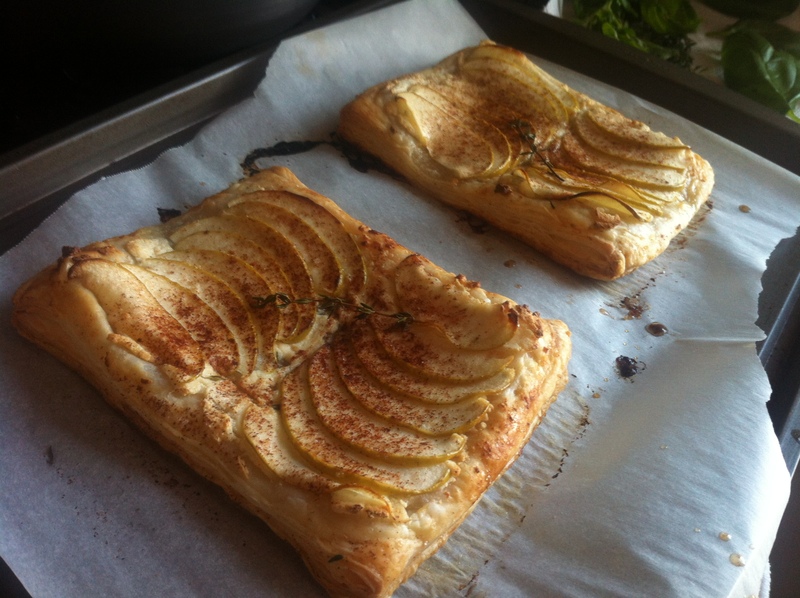 then, all pretty-like, fan out your apple slices over the goat cheese. bake until golden! if the puff pastry gets too puffy on you, poke it with a sharp knife to pop the air bubbles. i don’t know if it actually works, but that’s what i did and it seemed to make things a little better. cut and serve! tastes yummy fresh out of the oven or cold. lay out puff pastry on prepared baking sheet. 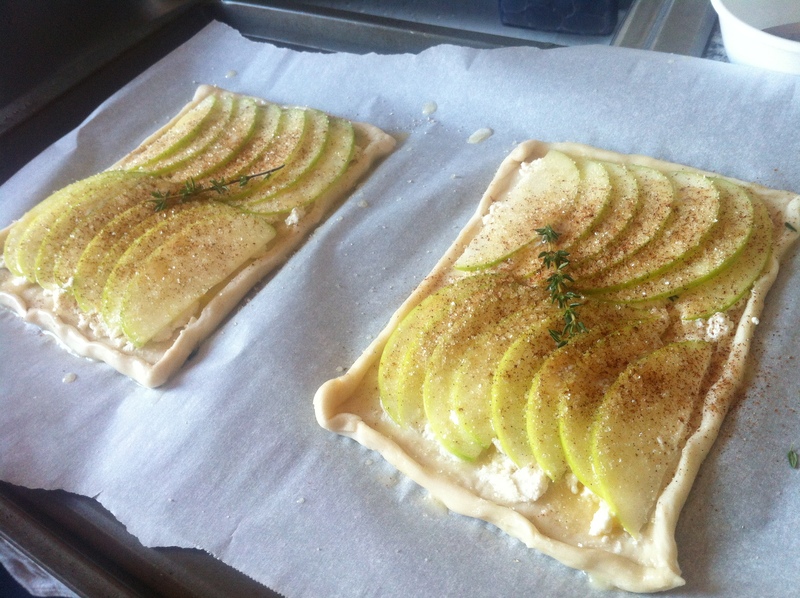 cut into sections to make smaller tarts, if desired. slice with a sharp knife, the skin on the apples can be a little tough.